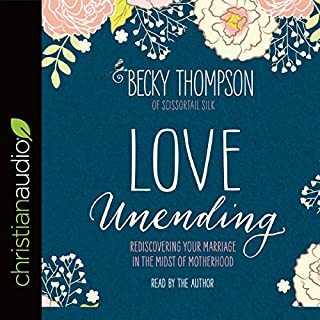 For the next 21 days, journey with Becky Thompson to remember what life was like when you first fell in love with your husband. Each daily challenge, reflection, and prayer will refocus your attention, re-center your heart, reignite the romance, and help you rediscover your marriage in the midst of motherhood. Let Love Unending guide you step by step as you realize that sometimes the best way forward is to go back to the beginning. 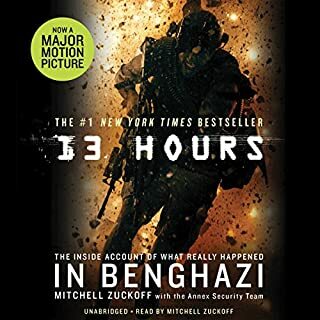 Great book, but not for Audible. This is a study book with questions for you to write answers down at the end of each chapter. 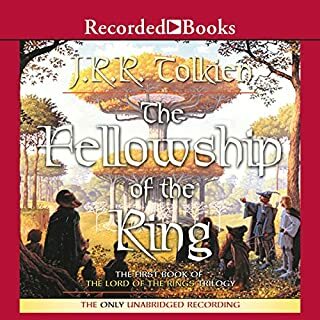 I’m excited to pick up a physical copy, but I actually returned the audiobook, since I wanted to be able to write down my answers in the book. Buy it! You will NEVER regret it! Great narrator, great story, great book! It’s wonderful! Honestly, I only got through the first chapter, and that was only by gritting my teeth. The narrator's intonations are monotonous and do not ebb and flow with the words and the passion of the concepts written. Her voice is pleasant, but her reading style is just not for me. Since I think this is a worthwhile read, I'll be reading the paper copy instead. This book gives hope and encouragement! My SWC is only 3, but her firecracker-ness has thrown us for a loop. Traditional disciplining methods did not work, and we knew appeasement was not the answer, either. But we were at a loss for what to do. 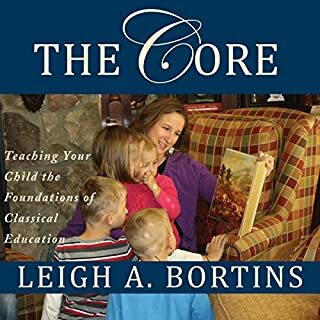 This book has been so helpful in defining the issues that we see in both our child and in our parenting, and has given us the language and methods to correct and guide us all onto the right path. 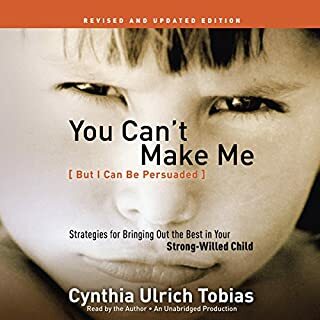 We have already seen a difference in our child since we began using Cynthia’s methods, and are excited to see God continue this work in us and in our child. A must-read for legacy builders! No matter where you are on the wealthy-poor spectrum, you need to think about the stewardship that you have been given by God over HIS resources. 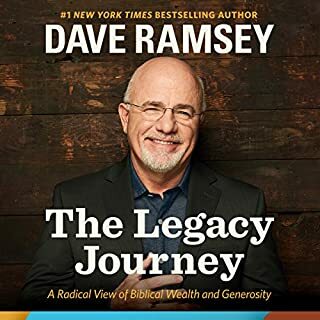 Don't neglect these principles, and enjoy God's blessings as a result!Dave's down-to-earth narration and matter-of-fact way of writing makes for an easy, albeit convicting, book. I'll be buying a physical book for my home library. 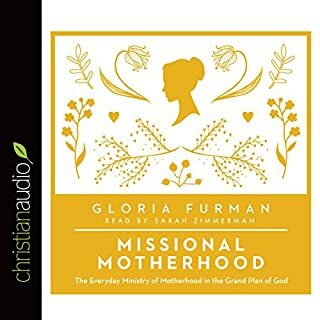 Gloria lays out the Gospel very plainly, and draws our attention from the hubbub and mess of our daily lives, to the purpose and overall goal (mission) we have as Christian mothers. It's a great listen, as Sarah Zimmerman is a fantastic narrator. The only drawback is that the book is very light on application and practical living. Would make a great group study tool where a leader could draw out questions/answers of application from the group. 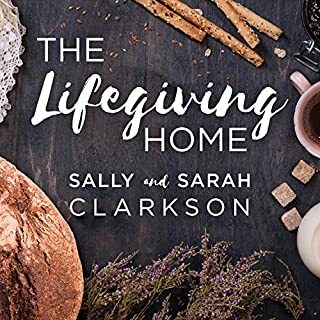 Was so inspired to create a home where discipleship and love are present, and where guests feel a breath of life as they walk through my door. Great narrarator, too! This is such a great book! You cannot read it without tears! I greatly recommend! 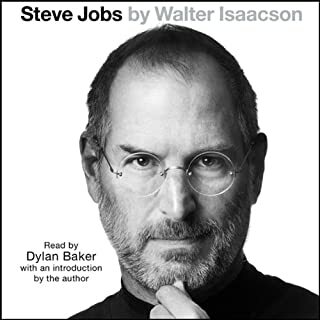 Loved hearing about the genius I grew up loving after receiving my first Mac at my 15th birthday!